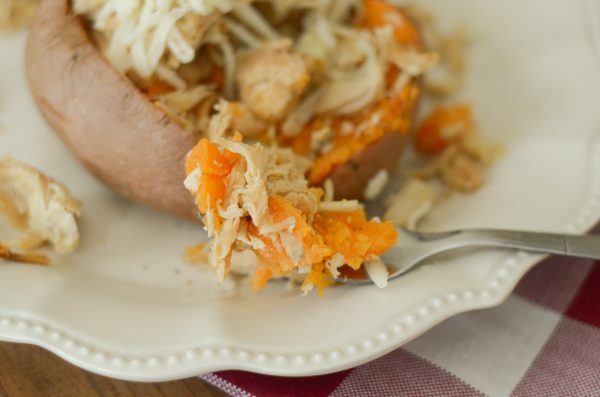 It’s time to make a delicious dinner with this Slow Cooker Maple Cinnamon Shredded Chicken. Sometimes, I get really excited when I realize I can season chicken a different way and make something super yummy out of it. 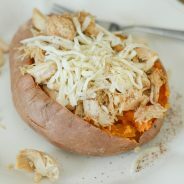 That was the case with Slow Cooker Maple Cinnamon Shredded Chicken. We’ve been so busy lately, anyone else? 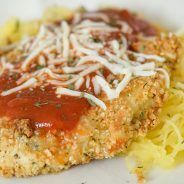 I feel like I’m constantly on the go, it honestly is making dinnertime quite the challenge. I’ve been defaulting to salads lately much more than I would like simply because I’m running out of time. I’m looking forward to spring break in a few weeks just to get caught back and up and be able to get back into the kitchen a bit more. In the meantime though, let’s talk about this tasty chicken. 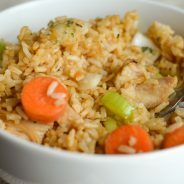 How do you make Slow Cooker Maple Chicken? Now, all you have to do is place the chicken in the slow cooker and top it with a bit of a maple glaze mixture. After about 4-6 hours, then you should be able to easily shred the chicken and stir it up to soak in that maple taste. 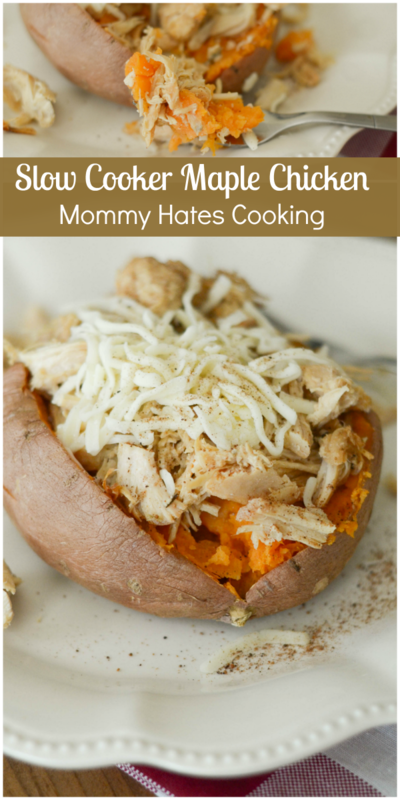 The best way to serve this chicken in my opinion is stuffed in a sweet potato. I like to top it with a bit of cheese and cinnamon as well. My husband skips the cheese and goes right to the marshmallows. I have to say though in my mind chicken and marshmallows just don’t go together, but if that’s what you like…go for it! I also like to save the chicken to reuse during the week on a salad or even in a wrap too. It’s great paired with lettuce or kale and wrapped up with a vinaigrette dressing or even just a little bit of a cinnamon butter. 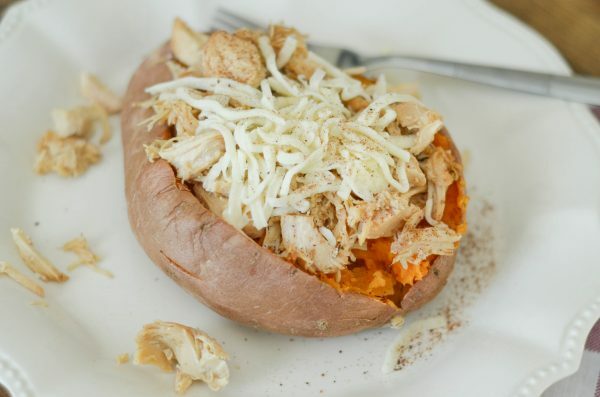 Do you love a good shredded chicken? What would love to use this chicken for? I’d love to hear it! Place the chicken in the bottom of a sprayed 6-quart slow cooker. This should be sprayed with non-stick spray, or lined. Combine remaining ingredients in a small bowl, then pour evenly over the chicken. Cook on low 4-6 hours, then chicken should easily shred with a form. Once shredded, mix in with the liquid that is still in the slow cooker. Cook for an additional 1-2 hours until well soaked into the chicken. Serve with sweet potatoes or in desired method.